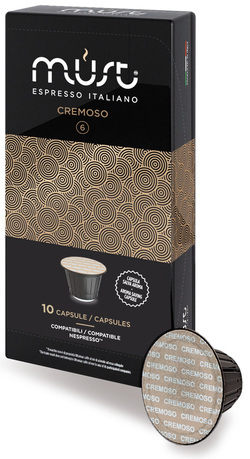 Bay Beans Cremoso coffee capsules for Nespresso is a delicious coffee, producing a thick strong crema with medium body. A coffee bean blend using a base of the super crema coffee bean of the monsoon Malabar. Buy Bay Beans Cremoso coffee capsules for Nespresso.